Geotourism is geography tourism (as opposed to tourism geography!). It applies to any recreational (tourism) activity where one of the primary objectives is to visit some phenomenon of geographic importance. This could be a coral reef, mangrove swamp, volcano, mountain peak, cave or canyon, but it could just as easily be a sinkhole, waterfall, new town or sugar mill. Ideally, geotourism should be sustainable, ecologically-aware and culturally-sensitive. Geotourism often involves visiting landforms that hold special value: geomorphosites. Mexico has an amazing diversity of geomorphosites, quite possibly the richest collection of any country in the world. The dominant additional value may be economic, ecological, aesthetic or cultural, and this provides a starting point for assessing whether or not a particular landform is a geomorphosite or not. The science study (see first comment below!) of geomorphosites is still in its infancy. Several competing classifications have been proposed, and no definitive consensus has yet been reached on the best way to quantify the value of a particular example. The scientific study of geomorphosites should enable researchers to suggest ways to approach their management. Unlimited access to some geomorphosites may generate a healthy flow of admission fees but could also easily increase erosion and hasten the destruction of the very thing that the tourists are paying to see. 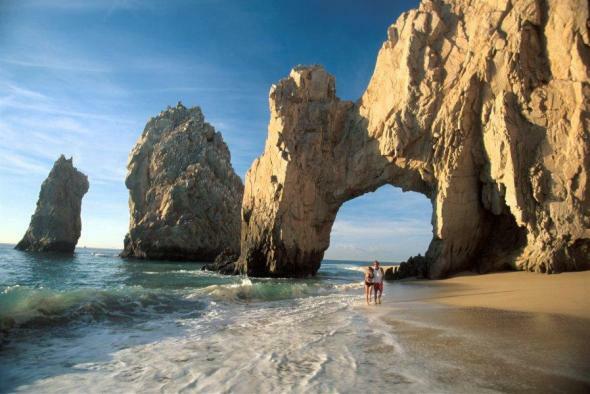 On your next trip to Mexico, make sure to visit one or more of the country’s super-numerous geomorphosites! Comanescu and Nedelea, Area (2010) 42:4, 406-416.